Most of the damage happens during packing and unpacking at home. Let ShaanMoving do the boxing and unboxing and let them pay for any damage, if any. No matter how big of a move it is, it still comes with a strain of packing and unpacking. 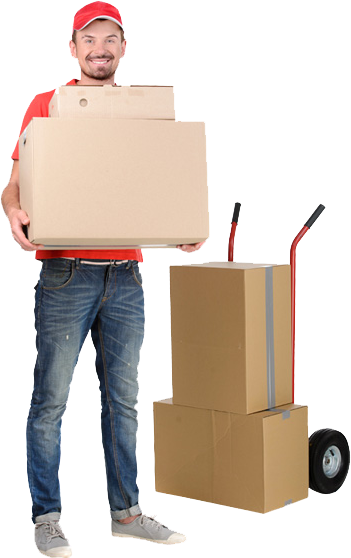 But if you give ShaanMoving a call, your packing, transporting and unpacking needs can be all taken care of. It will be a smoother and the best transition ever. You can just wait and watch us do the work. We will take the stuff away if you don’t need that anymore, we will take and dump it for no extra charge. We focus on one room at a time so its easier for everybody to move and you get it all the same way you had in the old location. When taking apart items to be moved, such as tabled, we make sure that all screws and other small parts don’t get lost or confused in the move. We store them securely in bags or boxes and take them all together so we know where the parts came from. We make sure that everything is labelled or color coded to prevent confusion. Boxes are a staple for moving because they are usually quite regular sized, easy to carry and if taped together correctly, rarely fall apart. Regular sizes are important for maximizing your van space and ensuring you’re not wasting areas in your transport that could otherwise be filled. On the flip side, bags can be compressed anywhere! It is possible however for bags to be mistaken for rubbish. Bags are good for items like clothing, and bedding, and when you’ve ran out of boxes to pack anything. Teddies and soft toys work well in bags – edged objects, or items that are likely to be too heavy to carry in a plastic bag would probably work better in boxes. Bags also work well with linens. Whilst packing, it’s important to maximize space – and pack your biggest objects first, and fill space around them. Books are easiest to pack, odd shaped, awkward items such as ornaments and other items are the worst to pack, and both types should go in boxes, as should dishes and other objects that are considered fragile. Mark all boxes and bags (if you can) carefully – it makes them easier to find things in, and to sort into rooms without having to break them open. This will all help in your new house. Always remember to mark bags you’re using for belongings clearly so that they don’t get mistaken for rubbish – or buy completely different bags for your rubbish and your belongings. While it may only take you a couple of weeks to pack, it can take eight weeks – or MORE to unpack at the other end – so though you’re ‘just boxing items up for a couple of days’ remember that you may not find it for up to two months, or perhaps more. Copyright ©2015 ShaanMoving Ltd. All Right Reserved.